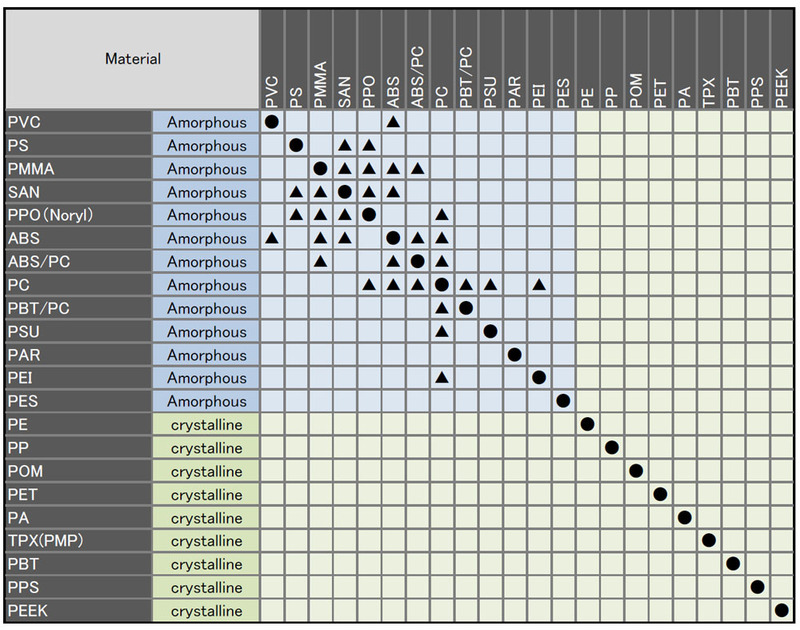 The table shows which organic material is applicable for ultrasonic welding. Basically, the same thermoplastic organic materials are applicable for ultrasonic welding (●). Moreover, for amorphous materials, only if it is resistant to low-heat temperature, ultrasonic welding is applicable with heterogeneous applications (▲). ※ Whether or not the application is applicable for ultrasonic welding depends on the shape of application, so we ask to carry out an experiment with the actual application.